We were extremely delighted to work with Catherine Forester and Weddings by the Sea. Catherine made our wedding day at the Four Seasons Biltmore a warm, beautiful, and memorable experience for us, and for our family and friends. Catherine and her team created an absolutely stunning and elegant Chuppah in the Mariposa Gardens for our Ceremony. We were all amazed at the exquisite florals Catherine and her team created which adorned the Chuppah as well as the reception tables, and the gorgeous bridal bouquet. Catherine attended to each and every detail for us. She provided us with top notch vendors, and collaborated with the hotel event staff which made everything more than perfect all around. Her warm and caring service brought us much comfort and ease well before, and following, our special day. 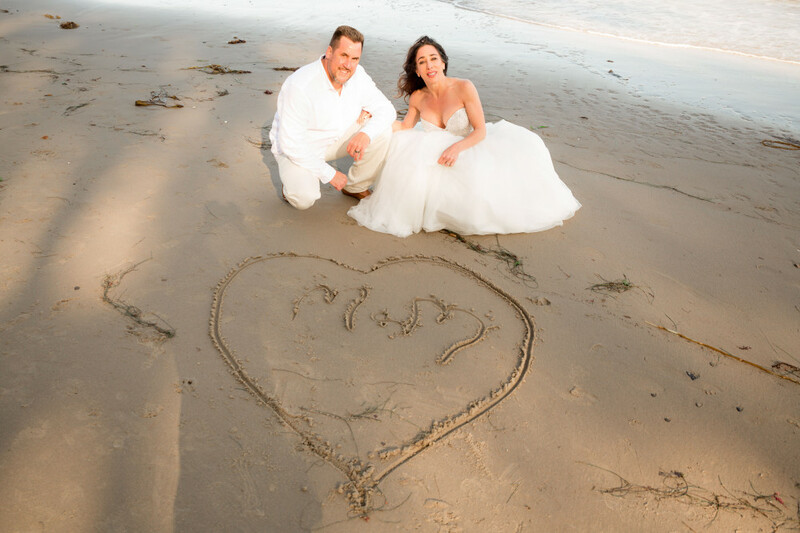 After our wedding day, Catherine went above and beyond to assure that our marriage certificate was expedited through Santa Barbara County. 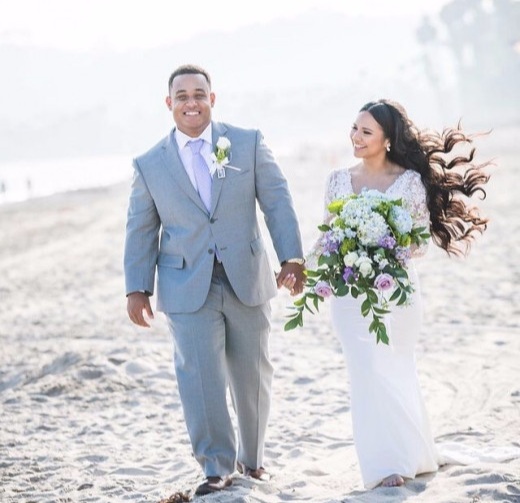 We highly recommend Catherine and Weddings by the Sea to anyone who is looking to have all the best in a Santa Barbara wedding. I highly recommend Catherine and her team! After a year and half of being engaged and overwhelmed trying to plan a wedding I came across Weddings by the Sea. After putting in my information, Catherine responded the next day and told me the date I had hoped for was available. She suggested a few locations and we loved Manning park. She met me there to look over the park and was very kind and comforting. She responded timely to all emails and concerns. She listened to my views of how I would like my ceremony and handled everything. Wendy was an amazing officiant, she called to discuss the wedding vows and listen my vision and was very accommodating. Alex the photographer made taking pictures a fun and exciting experience! My wedding day was nothing of amazing, and I am so grateful to Catherine and her team! Catherine Forester of Weddings by the Sea was phenomenal. She met my expectations and helped keep me calm and confident so that my wedding day would be beautiful. She is a kind, efficient, knowledgeable professional who knows her business. I am so grateful to have been blessed by her outstanding service. I highly recommend her to any bride to be! My husband and I were extremely happy with how beautiful our wedding ceremony turned out. Our guest loved it as well and couldn’t stop complimenting how amazing it was. We got married right before sunset late August and our photographer (that Catherine set up) was incredible our pictures are beyond gorgeous! My husband an I are stationed across the country and she did everything over the phone and via email and I couldn’t be more grateful with how amazing she made sure everything turned out without even meeting us before. Catherine thank you so much. You are amazing, so sweet and extremely talented!! !